Click here to access our FLOWER tool, a framework developed to analyze and reflect on policies and investments that could yield multiple benefits. Multisolving Checklist – Keep these five elements in mind when designing multisolving policies and projects. Interested in multisolving, but concerned about its effects on gentrification and displacement? Watch our video on the systemic causes of gentrification and strategies to avoid displacement. You can find other writings to help your multisolving efforts in our blog. Join our Facebook group to ask questions, discuss best practices, and share examples of how you are multisolving or planning to do so. 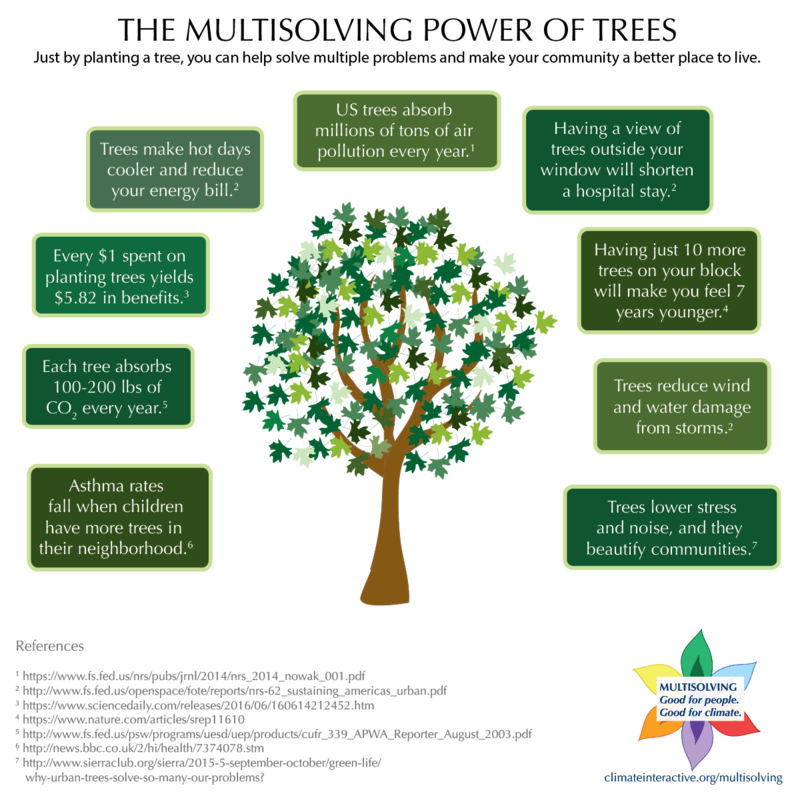 Multisolving in pictures – Show your social network the multiple benefits of climate protection with these shareable multisolving graphics.